It is my last post as a DT member of The Cutting Cafe. It was a wonderful year! I can't say thank you enough for being a part of such an amazing team and being able to work for such a great store! Thank you, Regina, for your support, your generosity and all the inspiration with your amazing products! 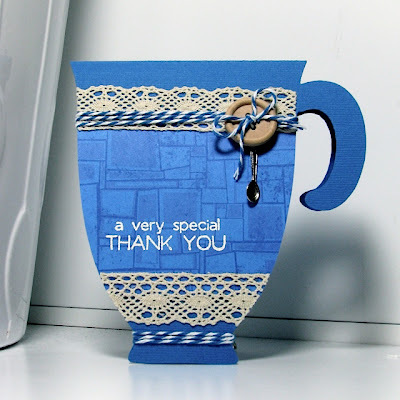 This Inspiration Week all designers worked with a set of their choice and for my "Special Thank You" card I used one of my favourite sets: Coffee Cup Shaped Card. Сьогодні я востаннє пишу як дизайнер магазину The Cutting Cafe. Я була дизайнером цілий рік і він був надзвичайно плідним та приємним завдяки чудовій команді, а особливо завдяки власниці магазину, котра створює чудові штампи та шаблони. Сподіваюся, що за якийсь час я зможу знову повернутися в ДК цього магазину, а зараз повертаюся в ряди покупців. Для свого останнього повідомлення я обрала набір Coffee Cup Shaped Card. Я зробила подячну листівку. Так трохи символічно вийшло. I made it all blue and added some lace, blue twine, wooden button, a spoon charm and a sentiment, which I heat embossed with white powder. Листівку я зробила синього кольору, додала кремове мереживо, голубу ниточку twine, дерев'яного ґудзика, підвіску ложечку, а також виштампувала напис і застосувала на ньому гаряче тиснення за допомогою білої пудри. Many hugs to all the DT Ladies! 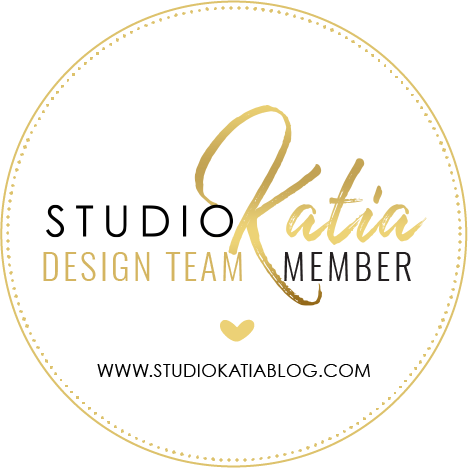 I was thrilled to work on the same team with you all!! Thank you!! I wish all the best in the New Year of 2013!! Бажаю вам чудового настрою напередодні Нового року! 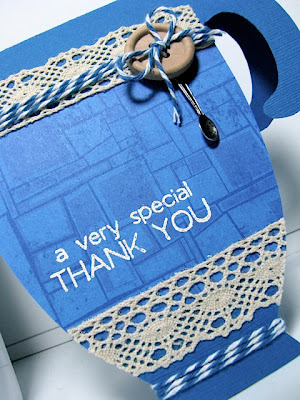 This is super I love the cut file , but yor design with the lace really adds the perfect touch. 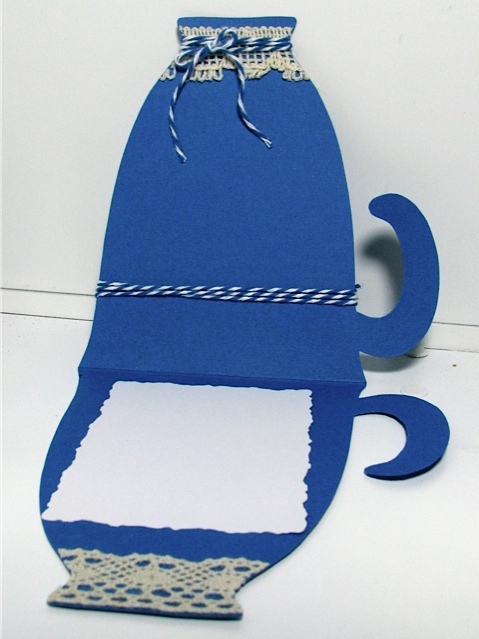 Terrific shaped card, Lilia! Love the blue and the lace! Thanks for sharing your creation for the Little Miss Muffet challenge! What a neat card!!! Thanks for participating in our PILE IT ON challenge! !